Halibut Coming in this Week's Box PLUS a Bakery Sale! One of our goals for 2017 is to engage more with our customers and the communities we serve. We want to stay connected and start conversations around food, cooking, issues and events. Facebook is a great and powerful tool to connect and communicate. However, in recent years, it has become incredibly expensive for small businesses like ours to have their posts seen by people who like their page. Each and every time we post on Facebook we must pay to "boost" the posts just so it will reach a few 100 people. By utilizing groups on Facebook, we can ensure that all of our customers will see the content we post. Instead of giving thousands of dollars to Facebook each year, we plan to use that money to host events where we can interact with our customers and communities face to face. QUICK + SIMPLE:: Roasted Sausage Links with Carrots + Potato Coins, Broccoli Cheddar Soup and Spaghetti with Meat Sauce. So exciting to have Alaskan Halibut in boxes this week! Locavore Meals will include Beef + Broccoli Stirfry, our spin on Halibut Fish + Chips, Greens + Feta Hand Pies and a delicious Fettuccine with Squash + Sage. Don't forget to add bacon to your order for the pasta meal! So exciting to have Alaskan Halibut in boxes this week! 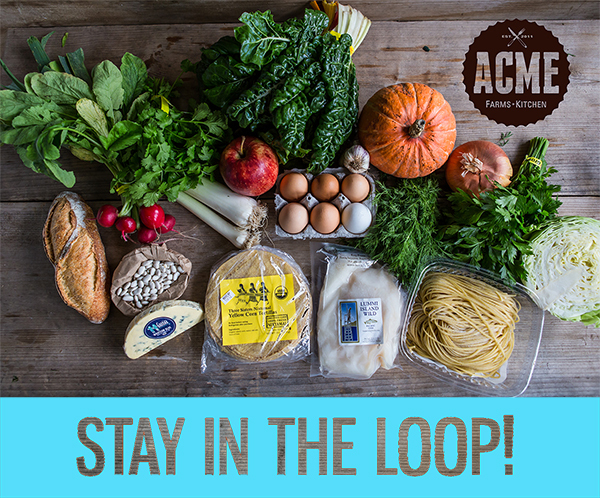 Locavore Meals will include Pork + Broccoli Stirfry, our spin on Halibut Fish + Chips, Greens + Feta Hand Pies and a delicious Fettuccine with Squash + Sage. Don't forget to add bacon to your order for the pasta meal!